Neopost is a sponsor of The How of Business podcast. 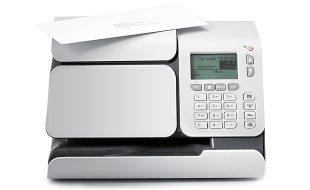 The Neopost IS-280 Postage Meter is perfect for small businesses! We have a special time and money saving tip to share, and we would also like to introduce our new show partner – Neopost and the Neopost IS-280 postage meter. Think about all the time you spend on preparing and sending mail and packages. If you spend just 15 minutes a day, that’s more than 7 full days a year focused on mailing and shipping! 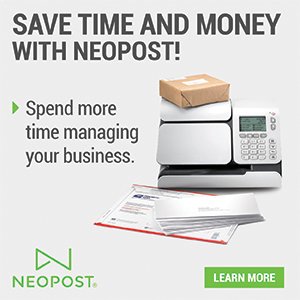 We recently chatted with Neopost about this challenge, and they recommend the IS-280 postage meter to handle all our mail processing – so that we can start saving time and money, without us ever having to leave the office! The Neopost IS-280 weighs, and then automatically tells us what postage amount our mail or package needs. Not only do we pay 6% less to send First-Class mail, but there is also no more waiting in line at the Post Office, or overpaying with stamps. Visit Neopost280.com/HOW and enter your zip code to see if you qualify, followed by the promo code: HOW.